On September the 23rd, I was darting around north Birmingham searching for the fibreglass owls that make up The Big Hoot trail. One I found was number 81: Poddy by Fozia Malik. Fozia Malik is a freelance artist based in the Bordesley Green area. Her passion for art began with a love of painting watercolour landscapes. She has worked on various community art projects with women’s groups and led art and craft tables for children at charity events. Recently, she has been working for DanceXchange/Hippodrome to produce the Hodge Hill Herald. Fozia is ardent about her community projects, as she feels that art should be enjoyed and more importantly, be accessible to all. 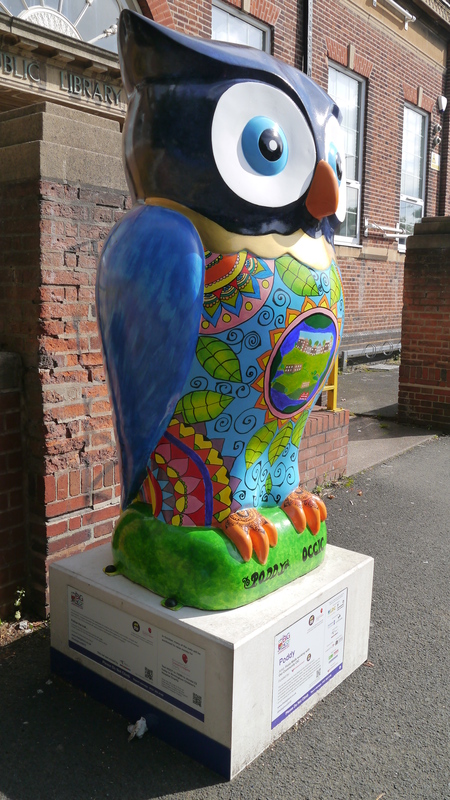 She is an active member of the OCCIC women’s group, with whom she collaborated to decorate the owl for the Big Hoot Project.